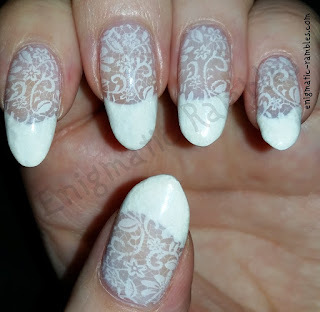 Last year Born Pretty Store came out with there own stamping plates, as soon as I saw this lace design one I knew I had to get it. 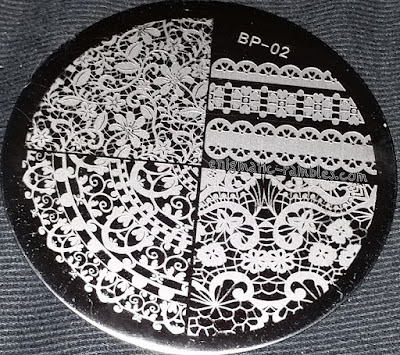 The plate itself is backed with paper, so no sharp edges. 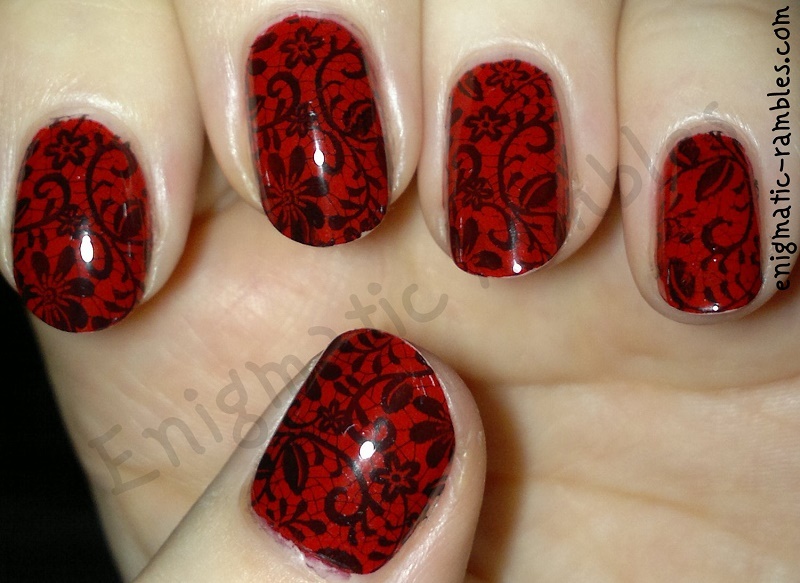 It has three full nail images and eight single images. 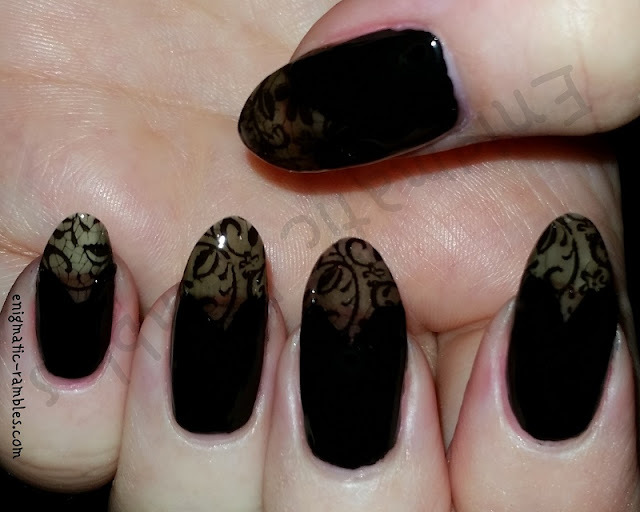 The full nail images are quite small, you could get away with the large tree and the scene images but if you have longer nails then then snowflake plate would be tricky to work with. The images stamped really easily, I really like the lace designs and they are quite versatile as you can use all different colour ways. 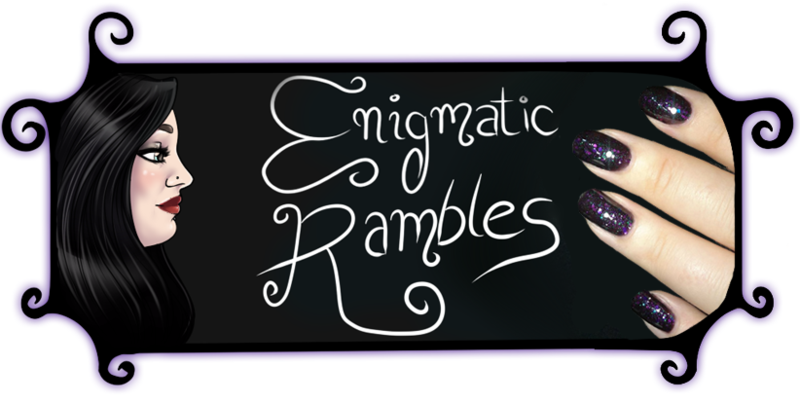 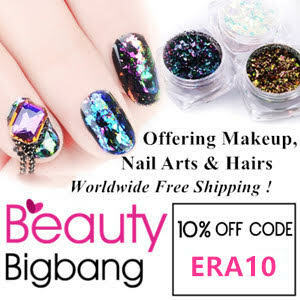 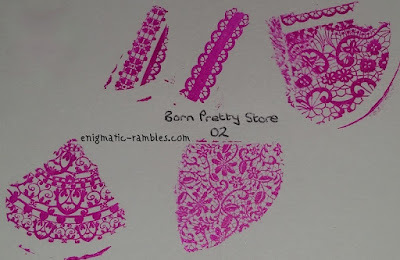 I have used the stamping plate a couple of times and you can click here for all the nail art using the plate.